I recently wrote a piece for the Oregonian about the wild early days of the US occupation of Germany as portrayed in Liberated: A Novel of Germany, 1945. It felt like my first byline — I was thrilled to contribute to the newspaper I delivered as a kid. The essay appears online on OregonLive and in print in the Sunday books section. Find it here. In the early days of the US occupation of Germany, a Major Raymond Towle of Boston ruled the Bavarian town of Eichstätt as the commander of US Military Government. “Ruled” is putting it lightly. Major Towle’s official reports made his authority sound sensible enough, but in reality the major terrorized the locals while setting himself up as an eccentric tyrant, prompting Eichstätters to dub him “Major Toll,” or Major Crazy, applying the German word for both insane and fantastic in place of an unpronounceable English name. Major Crazy carried a riding whip he slapped on his desk to scare any official questioning his decisions. Major Crazy was a pleasure-seeker and a racketeer. He was also obsessed with ancient Catholic power, had a papal costume tailored for himself, and even brought in a top Munich painter to portray him in it. His German and American entourage of rakes and prostitutes and pimps took up over twenty houses in town that he had requisitioned as commanding conqueror. The major shipped home hundreds of crates filled with finer plunder and forged art pieces. In Liberated: A Novel of Germany, 1945, Major Crazy is reborn in the character of Major Robertson Membre, US Military Governor of the small and isolated Southern Bavarian town of Heimgau. My main character, US Captain Harry Kaspar, at first believes his commander the major to be his worst nemesis—as well as the town’s. As Harry will soon find out, the troubles are just getting started. Liberated might read like fiction, but the story is based on simple truths and historical record. Justifications aside, the early US occupation of Germany was a kind of Wild West where foreign autocrats wielded total power over the native inhabitants like a robber baron over a busted boomtown. In late spring of 1945, US combat units had secured the war’s unexpectedly calm closure on the frontiers of Southern Bavaria. On the local level, though, the future peace and law and order remained far from clear. Enter the US Military Government (MG) detachments, following the path of US tactical forces into cities and towns, villages and counties that were physically and socially devastated. Amid untold ruin and chaos, broken infrastructure and vaporized authority, the first MG detachments aimed simply to get things going again. Establishing order and ensuring public safety were primary duties. At the same time, MG officers performed a delicate balancing act that varied according to detachment make-up, intelligence on hand, a confusing mix of directives, and the inhabitants’ cooperation. In the first few months, MG officers in the smaller far-flung detachments were often cut off from the world. This demanded self-reliance and inventiveness, but it also invited confusion, scandal and infamy. Some MG commanders made themselves the lords of their helpless, isolated communities. Such types were dubbed the Kreiskönige, or “County Kings,” by fearful and sometimes grateful locals, as their King often beat out rival MG detachments’ communities competing for manpower and precious resources, shelter and food. It intrigued me that so much scandal was implied between the lines but might well have been lost to history forever. This seemed the stuff of mystery and crime and historical novels. Musing about this would lead me to write a first manuscript years ago that, after repeated revisions, would become Liberated. My Heimgau is fictional but not unlike Miesbach, Landsberg, Bad Tölz or any number of actual towns in Bavaria or elsewhere in the US Zone of Occupation. The characters Harry Kaspar, Major Membre, Eugene Spanner, Harry’s lover Katharina Buchholz and the rest are fictional too, but real-life examples certainly existed. As the story begins—as the US first takes the world stage running a conquered land, Harry is what my agent and editor Peter Riva once called a “goddamned do-gooder” with emphasis on damned. A naturalized American born in Germany, Harry believes in the capability of American can-do to change the world for the better given full reign to do so. Without giving anything away—Harry soon finds out otherwise, and it will change him forever. In real life, it did seem that MG and occupation duty could attract a certain type of man who saw glory not in combat but rather in the power and patronage, mistresses and riches that martial rule provided. Not everyone could be Major Crazy. A common Joe could thrive, and not all were criminals when considered in context. 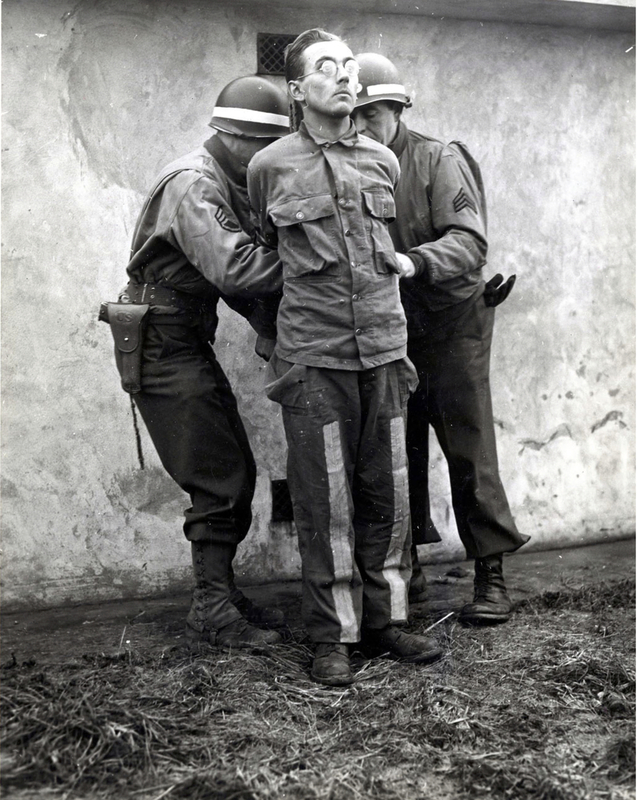 In 1945, a 22-year-old recently naturalized American sergeant and German Jew named Henry Kissinger was a Counterintelligence Corps (CIC) agent tasked with finding and arresting former Nazis. As a CIC man, Sergeant Kissinger had more power than even the local MG commander. Calling himself “Mr. Henry,” young Kissinger ruled over the town of Bensheim and surrounding county from a lavish villa and a posh Mercedes sedan. He reportedly enjoyed multiple affairs and extravagant dinner parties. The future US Secretary of State was already learning to enjoy the trappings of authority. Meanwhile, certain Americans with all the power operated with shameless greed and impunity, a few punished only when matters got out of hand or made public. One true episode loosely reflected in my story is that of the Hungarian Gold Train. Sent west by Hungarian Nazis in the last year of the war to prevent confiscation by the Red Army, the train carried far more than gold—it held the expensive belongings and art of persecuted Hungarian Jews. This load was not the well known museum collections and pieces that the US Army’s vaunted Monuments Men units sought to secure, and as such proved all the more tragic. According to Kenneth D. Alford in Allied Looting in WWII (2011), at one point the train “consisted of 52 railroad cars, of which 29 were freight cars containing items of great value. ... [The cars] contained cases of gold, 60 chests of jewelry, and chests of the finest collections of Meissen, Dresden, and Chinese ivory figurines. There were over 5,000 handwoven Persian rugs, exceptional works of art, five large trunks full of stamps, over 300 complete sets of silverware, and 28 large boxes of mink and sealskin furs. Other personal effects of the murdered victims included American dollars, Swiss francs, gold coins, small bags of gold dust, watches, rings, Bibles, skis, musical instruments, cameras, typewriters ... In 1945 terms, the value of the train’s contents was estimated at $206 million, which would translate to several billion dollars today.” Under constant threat of attack from ground and air, the train made it into Austria as the war ended, where the SS and the trains’ Hungarian guards fought for control. The train was meant for Switzerland, for anonymous bank accounts and profit-taking. It ended up in a train tunnel near Salzburg, Austria, where it fell into the hands of the US Army. Over the next couple years, certain unscrupulous American officers, empowered by victory and lured by easy wealth, began appropriating the contents from storage as the original ownership remained disputed between puffed-up policymakers. Much of the haul found its way to the states through boats and planes and back doors wide open. Elsewhere, deserted GIs got in on the plunder game and early, having found crime rackets the only way to stay free if not alive. It’s known that certain crafty and determined deserters were able to set themselves up quite nicely and securely, especially in Paris and Brussels. About 50,000 American soldiers total had deserted in the European theater, many returning to duty, some never. Most had been broken by combat duty, given no respite from the front line, doomed “for the duration” (before the Army instituted rest rotations) in units with casualty rates well over 100 percent counting replacement cannon fodder. Hell creates its own type of hero. It’s not hard to imagine an enterprising sociopath like a certain fraud in Liberated (no spoilers!) rising to the occasion, death wish and all. And then there were men like Harry Kaspar, with special skills for MG, something big to prove, and a lot to dread down deep. The Wild West that was the early occupation became the greenhorn American Harry’s worst nightmare—the worst of history and human nature coming roaring back like a locomotive charging full steam downhill without a driver. Against the robber baron, the new town sheriff hardly had a chance. This post was adapted from the Afterword of Liberated: A Novel of Germany, 1945. Nothing illustrates the absurdity of war like the magical authority of a uniform. If a human being dons an enemy uniform, that person now becomes a target that deserves to be killed, all good morals be damned. Because if you do not kill the target in enemy uniform, that person will kill you just the same for the uniform that you wear. If that same human being removes the enemy uniform, you do not have authority and certainly not a responsibility to kill that person. A moral code now applies. I’m talking abstractions here if not philosophizing, but the simple truth is there, so basic that no one sees it anymore if they ever had. With this in mind, let’s consider the deceptive swapping of uniforms as is done in a wartime false flag operation. Here the raw deal only gets more absurd—human beings opposing one another in war are each presented as targets but dressed as the others’ target to kill. Catch the other in your uniform, and he gets a firing squad for the crime. It's called "perfidy" under the so-called laws of war. But, if you get away with it, chances are you end up a national hero. It’s so absurd, it’s difficult to describe as such in simple words. The absurdity is practically as old as history itself. And there’s a larger issue behind it: Throughout history, this setup that makes untold hordes of poor scared bastards square off to the death has served as just another tool used by the power hungry, the greedy, the honchos in charge. Sometimes the honchos do have to don a uniform of their own—whether it’s adorned with medals or a finely tailored suit—but it’s all part of the setup. They will never have to see their own threads bloodied. Only their tools get used. Something about the insanity of all this has obsessed me. A notoriously desperate German false flags operation run during World War II became a theme in a novel, The Losing Role, in a brief nonfiction history Kindle Single, Sitting Ducks, and in my new novel Under False Flags. In this latest story the insanity is stripped down to two opposing soldiers who are each sent on a suicidal mission during the Battle of the Bulge of 1944. Isolated amid the horror of a winter war, they must face off against each other as the two dogs have been bred to do. But this time, the two dogs don't bite on command. They face facts. They question what and whom they are fighting for, and why. Their answers make them give up on the sick game they play out for higher powers, even though they know the game will punish them with extreme prejudice. In this tragic view of war, the game is rigged. In an earlier post I’ve proposed this as the extremity of crime noir: “Modern war spawned noir. The monarchical proto-fascism that willed WWI sparked the new realism of the 1920s, which shouted out that all we were being told was not blessed but bleak. WWII, with all its raw power unleashed, proved that bleakness worse than any could imagine. Sure, the postwar eras could look fun, pioneering and prosperous in popular culture, but there was always that sordid underbelly in which fermented the wretched truth that had been so deadly proved during war. “In the noir world, what else is war but a system rigged to serve not only the few power hungry but to dupe the many into believing in that very system? Many know it’s rigged yet few can fight it. You can only survive. You might have to get a little dirty to survive. War, with all its blood-soaked, flag-draped, cynical and gilded champions; with all its grim consequences for the guy, however flawed, who’s just trying to survive. This is the same world as in The Red Harvest and The Asphalt Jungle and right on through to LA Confidential. You have to play along even though you just know it’s going to screw a guy. War is the ultimate expression of noir, whether we’re talking about the thick of it or its grim aftermath. And so it goes. In my next novel, Liberated: A Novel of Germany, 1945—the sequel to The Losing Role, German-American Harry Kaspar enters conquered Germany as an ambitious US Captain but discovers that the Allied occupation is just another racket in the long line of rackets. The soldiers on the front line wear the very uniforms that rig the game and hang them, yet they keep plodding on for reasons injected into their brains that they can never purge. A few do it for patriotism, many do it for their buddies in their unit, but most slog on so they can simply get the damn job done and get the hell back home. It’s always been this way and always will be. Nevertheless, something about the World War II campaigns in which these boys died by the Liberty ship-load has become mythologized in our culture, providing, I suspect, that ideal alternative to the United States’ ruinous involvement in more recent wars. But ask a guy who was there, and he’ll tell you the truth about the Good War: "The Allied war has been sanitized and romanticized almost beyond recognition by the sentimental, the loony patriotic, the ignorant, and the bloodthirsty,” wrote the late historian, professor and World War II combat veteran Paul Fussell in Wartime (1989). I write about war while despising everything about it. Who doesn’t despise war, right? So why do we keep going there, and for whom exactly? I see no silver lining of glory in it, little redemption, and certainly few heroes. I see it as brutal oppression and naked manipulation churning out untold victims. Only a few warmongers at the top—those select minds conspiring inside the (war) room—will gain anything beneficial from it, and it’s almost always power and profit. They reap and we’re the ones who get sown. “War can only be prevented one way: when people refuse to go to war.” — Albert Einstein, Why War? Giveaway ends July 02, 2014. 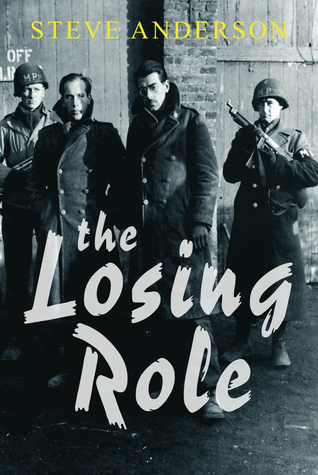 The Losing Role is a prequel to the second release coming in November: Liberated: A Novel of Germany, 1945. Down-and-out German actor Max Kaspar, the main character in The Losing Role, is the older brother of US Army Captain Harry Kaspar in Liberated. More stories involving the brothers Kaspar are in the works.